Make every day special! 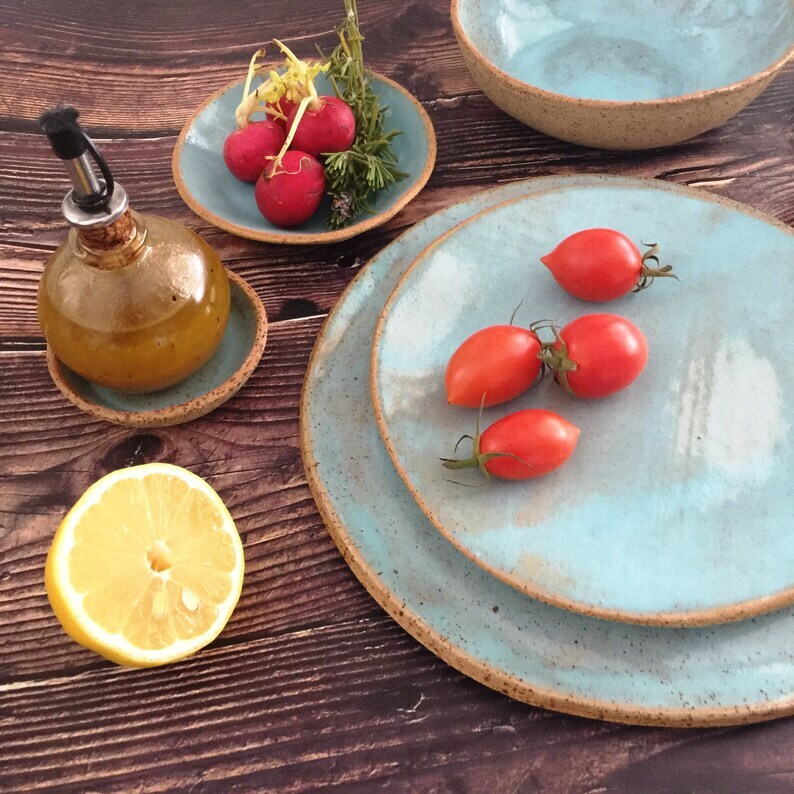 with "Breaking Waves" collection ceramic dinnerware set. * EXPRESS SHIPPING (3-5 business days, door-to-door). This rustic design is made of Matt speckled clay and food safe glaze. Available in few colors (by your choice on checkout). If you choose "Mix & Match" - Please write a detailed message. * Hand built of natural clay and food-safe lead-free glaze. * Kiln- fired twice at a high temperature of 1200ºC (stoneware). IMPORTANT: Due to the handmade process each ceramic piece is a little different but just as beautiful. 3-5 business days to major destinations in the world. - It is the only shipping option for orders over 4.4 lbs (2 KG). - Shipping cost is for ONE set of 5-piece. If you are interested in more then one set, please check the listing for 2 sets, or contact me, so I can check option for combined shipping to lower the cost (according to quantity and weight).